When the idle time is reached, ktimetracker shows a dialog to ask to rollback or to continue timing, so you can decide when you come back. 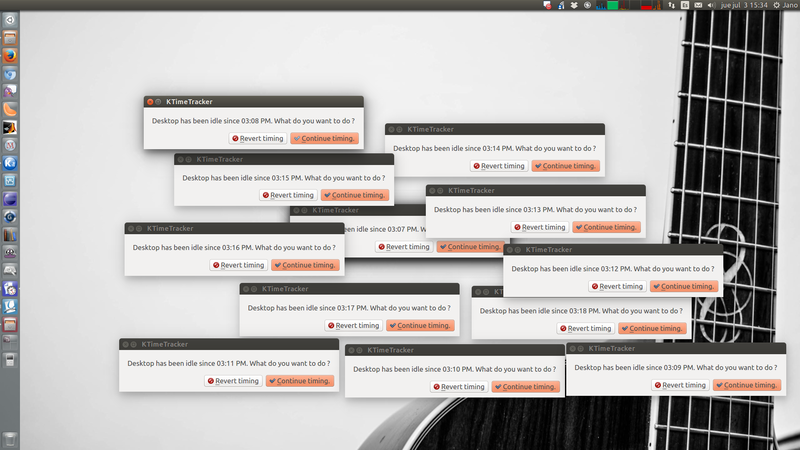 As can be seen in the attached screenshot, I'm getting one dialog per minute, which after e.g. one whole night is on the one hand nightmarish to click through and on the other brings the system to its knees, I presume on memory or X resource exhaustion.